Prefab houses (air vents and crevices under roofs or between concrete panels) are an important source of potential roosts for Common Swifts and other birds as well as for bats. Central-European populations of some bat species seem to have shifted their roosting strategy during the last decade, with prefab houses becoming the places of their most frequent occurrence. Large-scale renovations of prefab houses, currently performed throughout the country, are thus a serious threat to populations of these species. This applies especially for the Noctule (Nyctalus noctula), Common Pipistrelle (Pipistrellus pipistrellus), Parti-coloured Bat (Vespertilio murinus) and Serotine (Eptesicus serotinus). These species traditionally use crevices in prefab houses for hibernation and during spring and autumn, however, in the recent decade they seem to regularly use these spaces also as maternity roosts. If you have data on the occurrence of bats in prefab houses, please fill in our online form (in Czech). 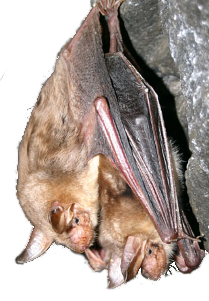 Online database of positive findings of bats in prefab houses is available here (in Czech).